We look forward to seeing you all there and would love to have you volunteer. Click HERE for the Volunteer Spot Calendar to see where we could use YOU. Click HERE for this year’s Pumpkin Patch Flyer with details. 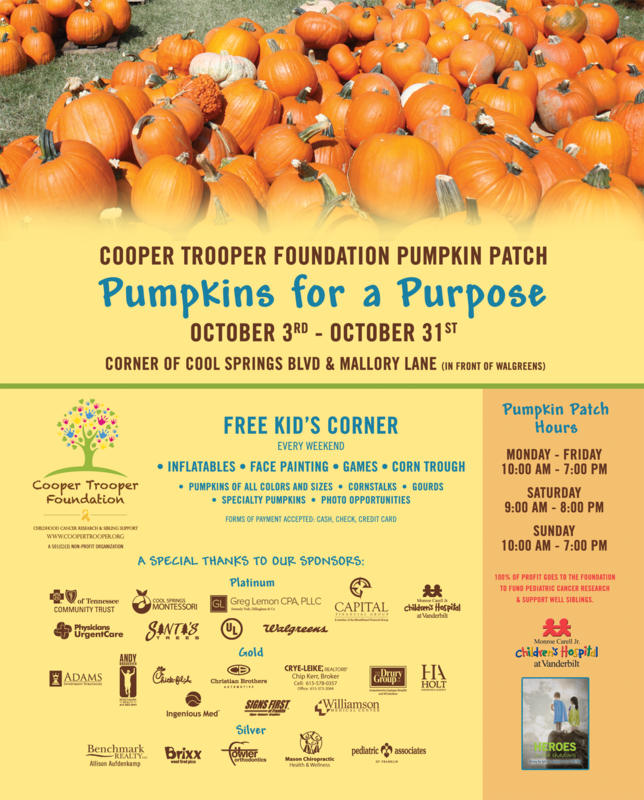 Thank you for continuing to support childhood cancer research and sibling support for children diagnosed with cancer when you buy your “PUMPKINS FOR A PURPOSE” at the Cooper Trooper Pumpkin Patch!